This is needed for communications between the Braintoss and Wunderlist servers. Your BTid@braintoss.com is the unique email address you are going to use to send Braintosses to Wunderlist. Log on to Wunderlist with your browser and go to https://www.wunderlist.com/account/mailtowunderlist to enable your Wunderlist account to receive email. Tick the tickbox. After enabling Wunderlist for email go to https://www.wunderlist.com/account/emails to add your unique Braintoss email address to your account. Your unique Braintoss email address is your BTid@braintoss.com. It will look something like this: btf8a6e5e177773a74fffbdd2d2f242a2e@braintoss.com. Wunderlist will sent you an email to verify your Braintoss email address. After verifying your unique Braintoss email address go into the Braintoss App and go to settings and replace your primary email address or add the following email address as additional email address. Copy and paste your BT id from the settings email to make sure you got your Braintoss ID. 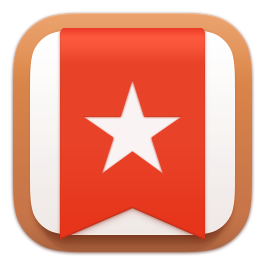 It is important to have your BTid in the wunderlist email address so Braintoss knows this is a Braintoss coming from you.